DocsApp was launched in July 2015 as a one-of-a-kind mobile app connecting doctors with patients through a chat or call on-the-go. Efficient and convenient, the primary healthcare app brings you medical attention in maximum 30 minutes and medicines at your doorstep. The mobile platform offers its services 24X7 and can be accessed in all languages. 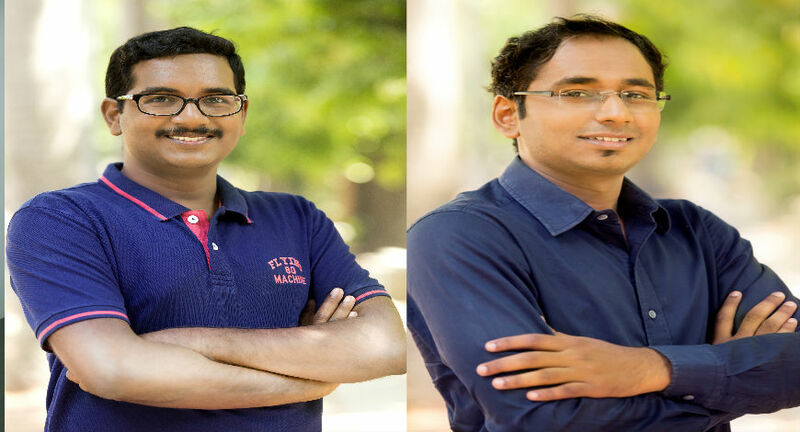 DocsApp was initiated by IIT Madras alumni Satish Kannan and Enbasekar D, both holding a considerable amount of experience in the medical and healthcare industry. While Satish started his career with Philips Healthcare, R&D division, Enbasekar was involved in the research and development of healthcare medical devices. The duo began working on the concept in the year 2013 after realizing that many of the health issues existing in the present day can be diagnosed and treated online. They leveraged the opportunity to bring in the ‘WhatsApp of Healthcare’ by drawing up four primary TA clusters including the time-crunched busy professionals, those hesitant to visit specialists such as sexologists, psychiatrists/psychologists and those dwelling in far-flung remote towns/cities minus any access to specialists and people who need second opinion in specializations like Oncology, Neurology, Cardiology, Diabetis etc. The focus on 'quality healthcare' and 'ease of access' helped this duo raise $1.4 million for the start-up. DocsApp users can ask their medical question and start consultation within 30 minutes with specialist doctors after they pay a minimal consultation fee. Consultation happens through chat or call. Users can also book a lab test and order medicines post consultation. The main standout feature of the platform is that it doesn’t require the user to make any appointments for consultations. If you look at all the other health care apps out there, a majority of them allow patients to only browse through doctor profiles online and book appointments. DocsApp provides specialists’ services for all age groups in several key disciplines such as dermatology, gynaecology, sexology, paediatrics, general medicine, psychiatry, weight management etc. Its tech-enabled services are transparent and round-the-clock. With more than1000 handpicked doctors available for consultation online, the platform reaches out to over 2,50,000 patients. DocsApp promises 360-degree assistance by ensuring doctors on call, medicine support and sample collection at home owing to the 3,000 pathology labs it has on board as partners. How is it different from the existing apps? The healthcare market may be crowded with a lot of players in this space today, but it is still uneven on the supply side. Given the shortage of doctors and with around 97% specialists practicing in big/metro cities, DocsApp helps bridge the gap between Indian consumers (regardless of their geographical location) and specialist doctors. All DocsApp doctors are verified thoroughly with a three-step verification process and have 5+ years of experience. We have raised a total of funds worth $1.2 million (INR8+ crore) from Japanese VC Rebright partners, Anand Rajaraman and Venky Harinarayanan, GSF Accelerator, IIT-M Incubation Center and other top angels like Vijay Shekhar Sharma (Paytm), Anupam Mittal (Shaadi.com), Rajesh Sawhney (GSF), Srikanth Sundararajan (Helion). The cost-effective model of DocsApp enables specialist doctors to provide consultation to patients via chat or call. Users pay a nominal consultation fee to doctors, from which a certain percentage goes to DocsApp. The platform also helps the users in getting lab tests done at the comfort of their home and get medicines delivered to their doorstep as well. Patients across India can avail consultation from specialists via chat or call through DocsApp, which is yet another channel for generating revenue for the platform. 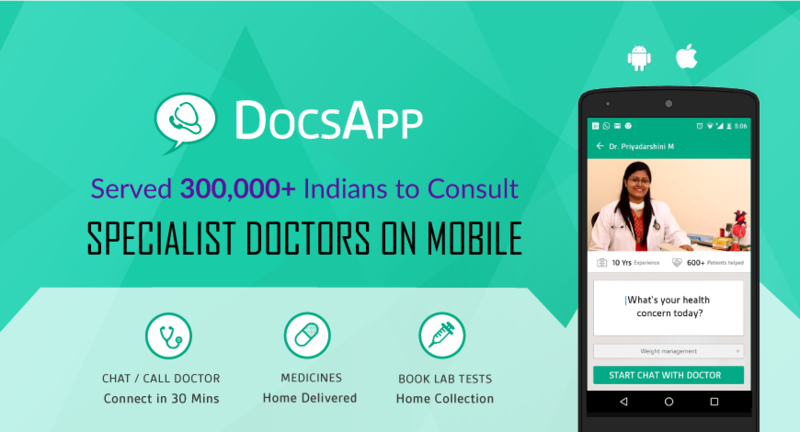 DocsApp has 1000+ doctors available for consultation online from all over India, the platform has touched lives of 2,50,000 people in India. DocsApp promises 360-degree assistance by ensuring doctors on call, medicine support and sample collection at home owing to the 3,000 pathlabs it has on board as partners. 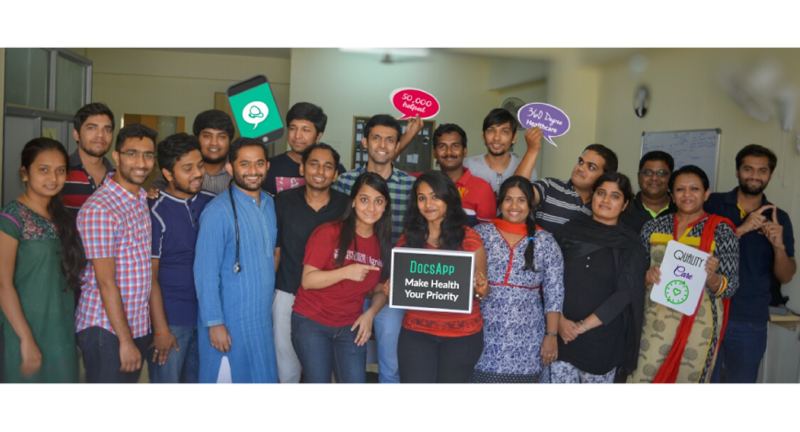 Bangalore-based, DocsApp which began with a team of 6; has grown to a team of 40 members today, building products that have an enormous impact on billions of people across the world and contributing towards making DocsApp a leader in the online doctor consultation space. Promoting an impression of “Google mat Karo, DocsApp Karo!”, so far DocsApp has reached out to 200,000 patients across India. The healthcare platform envisions taking the number to 1 million customers in 2017 and 100 million five years down the line through an expansion in 3 countries of South East Asia after India. It eventually aims to make world-class, high-quality healthcare accessible to the masses in the country by building technological solutions that can assist doctors in providing impeccable consultation and disease diagnosis. Initially trust was a challenge due to the newness of this solution and how our team worked on various UX and product aspects to solve them along with cutting edge tech. One prime example is '100% Refund if not satisfied policy'. Over a period of 6 months we hardly have 20 users who demanded a refund. In 2015, the Indian Healthcare market size was $80 B, it is expected to grow to $280 B by 2020. Healthcare primarily starts with patient- doctor interaction, where consultation is the starting point of healthcare. With consultation as its core service DocsApp addresses a market of $ 43 B.